A somber statistic from the U.S. Department of Labor’s Occupational Safety and Health Administration (OSHA) is that of the 899 worker fatalities in 2014, 8.2 percent (74) were electrocutions. Preventing electrical hazards on the job is truly a matter of life and death. 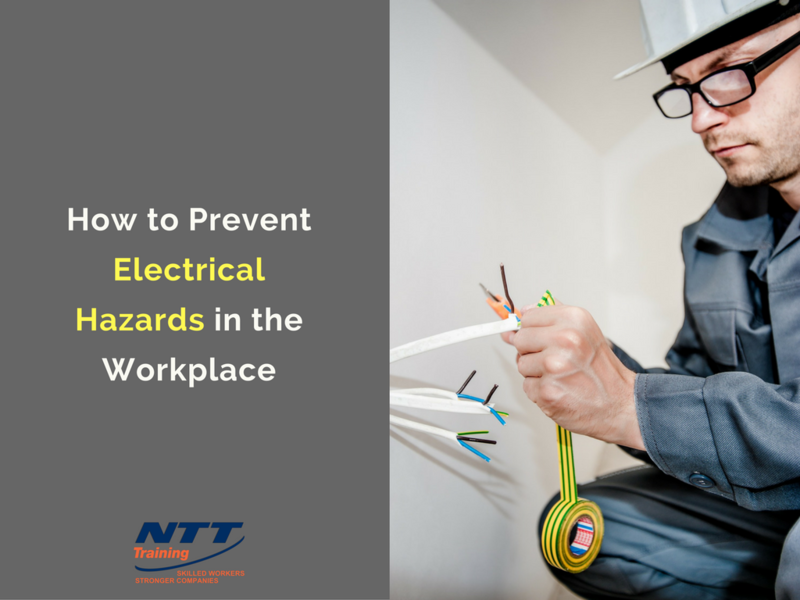 Four strategies to reduce or prevent electrical hazards can do a lot to make workers safer in the workplace, even in work sites that are inherently hazardous. OSHA’s rules, combined with the National Fire Protection Association (NFPA) 70E requirements, if understood and followed closely, are the first line of defense against electrical injuries. NFPA’s 70E helps companies and employees avoid workplace injuries and fatalities due to arc flash, arc blast, electrocution, and shock. NFPA’s provisions comprise safety-related work practices, safety-related maintenance needs, and safety requirements for special equipment. 70E provides guidance for making identifying hazards, assessing electrical risk, selecting appropriate personal protective equipment (PPE), establishing electrically safe work conditions, and training employees. While anyone can access and study these rules, a course that not only outlines them but explains them in detail can help prevent electrical hazards. Any of these workplaces could be hazardous locations. OSHA’s, NFPA’s, and the new 2017 NEC all speak to these hazards. Avoiding electrical hazards in the workplace must include careful maintenance, performed in prescribed steps, of any equipment that poses a hazard for arc blast or arc flash. On the most basic level, equipment must be properly grounded. This may mean replacing frayed, exposed or old wiring, testing and verifying grounding, and dissipating electrical charge from energy accumulation devices once equipment is shut off. OSHA and NFPA emphasize proper training in machinery maintenance to both keep the equipment working safely and prevent electrical hazards. Routine maintenance, recommends OSHA, must start with ensuring the machinery is disconnected from all power sources (electrical, hydraulic, mechanical, pneumatic). More, the switch box controlling the machine should be opened, the circuit opened, a tag attached describing the work being done, and then the switch padlocked to prevent it from being accidentally thrown. The preferred strategy with hazardous locations is to design out as many hazards as possible, so that the location (power lines, railroad tracks, industrial settings) is as minimally hazardous as possible. Often, though, an originally valid and safe design is compromised over time by additions, alterations, and expansions. Electrical hazards can be reduced by approaching any work site with a thorough knowledge of the evolution of the site. What was in place by design, what has changed, what was added by professionals or cobbled together by amateurs? Even if, as is often the case, workers cannot change a situation to make it safer, this awareness of design issues can do a lot to safeguard life and limb while working in hazardous conditions.